Got this recipe from food24.com and I must say it was quite yummy (not to mention super quick to make). I made a few minor adjustments, although next time I will quickly saute the spring onions as well - I find their raw flavour a bit harsh. 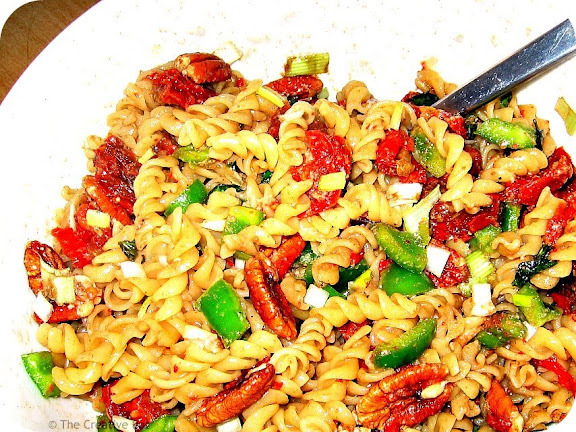 1.Toss garlic, greenpeppers, spring onions, tomatoes and nuts with the cooked pasta. 2. Sprinkle with parmesan & basil and drizzle oil & balsamic over just before serving. Season to taste & serve at room temperature.